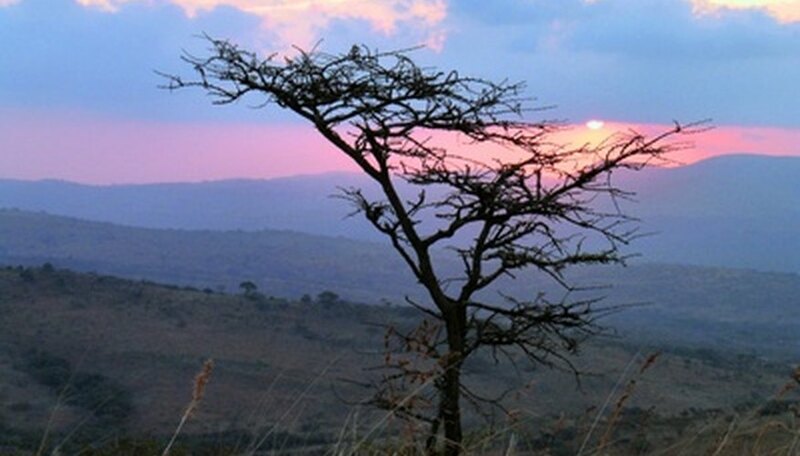 Known also as tropical grasslands, savannas of the world don't receive enough rain to sustain forestland, but are not as dry as the desert biomes. The combination of dry and wet climates in a savanna allows for a variety of flora to bloom throughout the region. The plants of the savanna biome grow quickly as an adaptive measure against the frequent fires that occur during the regions' dry seasons. Savanna plants run the gamut from grasses and flowers to massive drought-resistant trees. 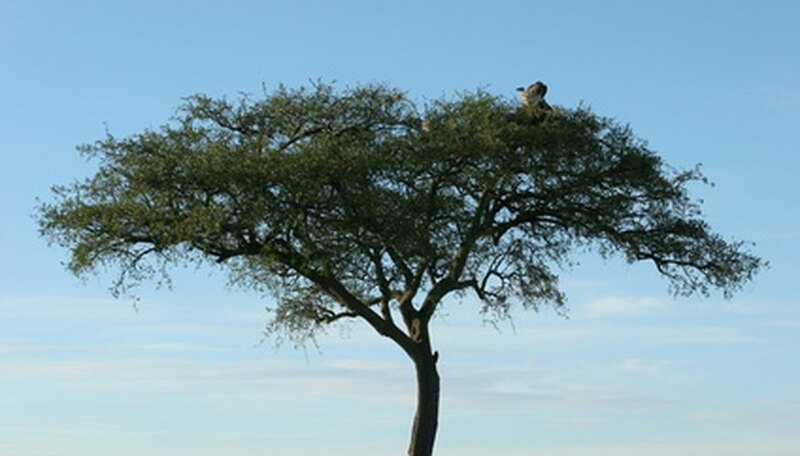 The Senegal gum acacia grows to about 60 feet tall and produces several thorny branches. Prevalent throughout African savannas, Senegal gum acacia grows in dry sandy soil and is drought tolerant. It produces gum Arabic, which is used to make medicinal products, incenses and other items. Other names for the Senegal gum acacia include gum acacia, gum arabic tree and rfaudraksha. The scientific name is Acacia senegal. Arabian folklore says that the Devil plucked the baobab tree from Earth and stuffed it back into the ground with its roots pointing upward. It is also thought to be a living lesson of what happens when you always complain; some African legends say the gods planted the baobab head first to silence its constant neediness. 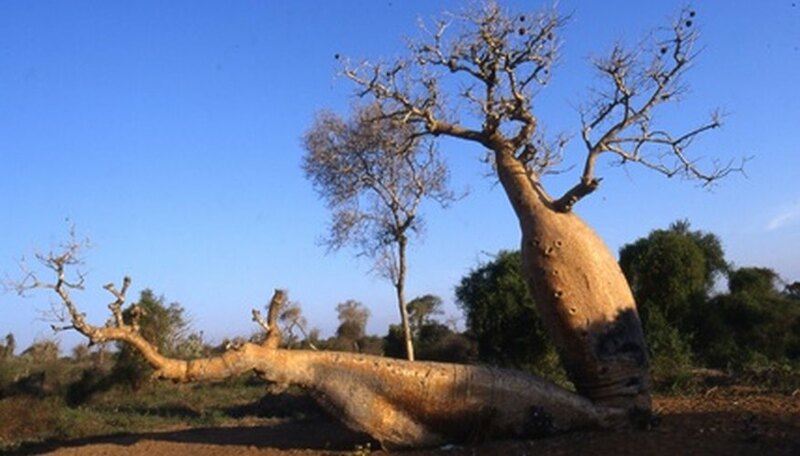 The baobab tree lives for thousands of years and thrives in the wet grassland savannas of Africa and parts of India. Aside from being important in African spirituality and fable, the baobab presents itself as an important ecological force. It is fire resistant and keeps water stored within its surface to last through droughts. Every part of the tree offers many uses, from clothing fiber and foods to oils and building materials. 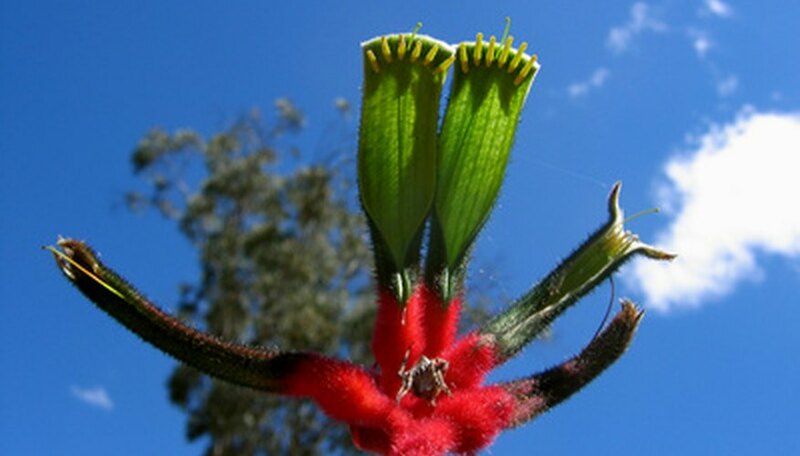 Thriving throughout savanna regions of Australia, kangaroo paws grow to 3 feet high. The foliage of the kangaroo paw grows close to the ground with wide grass-like blades that resemble miniature iris leaves. Spikes of rhubarb-red sprout from the center of the foliage producing unusual succulent-like petals of green and red. The kangaroo paw thrives in wet grassland savannas and only occurs in Australia, but they are exported and are common as ornamental exotic houseplants throughout the world.